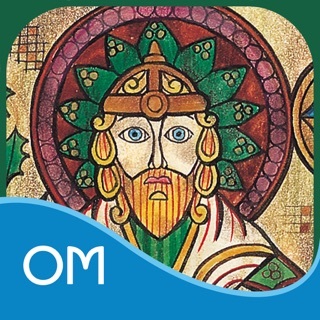 A personal coach to help you manifest more love into your life. Daily messages inspire you to become your best self and attract your Divine partner! 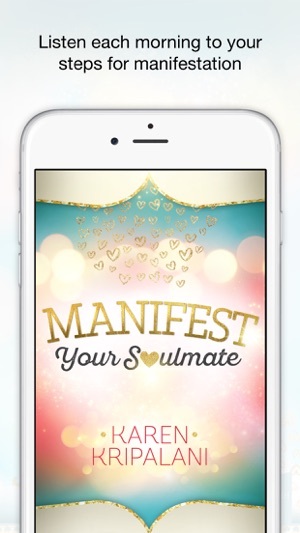 Manifest Your Soulmate is designed to help you establish the foundation of opening your mind and heart to love. Coupled with gentle guidance of actions, these principles will help you learn how to first love yourself and subsequently attract others to you. As you work at learning these lessons on a daily basis, you will prepare yourself to find and meet your soulmate! Even if you are already in partnership, this app can help you improve or maintain a beautiful relationship. Each day, spend just three minutes listening as Karen delivers three personalized messages that the Universe has selected just for you. For example, listen after waking up, during lunch or just before bed. They’re short enough that you can easily fit them into your busy day. 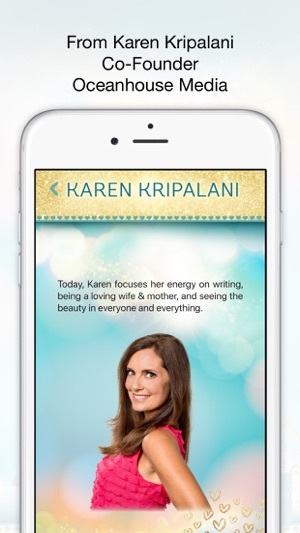 Karen Kripalani, along with her husband and soulmate Michel, co-founded Oceanhouse Media, a leading publisher of over 600 mobile apps that uplift, educate and inspire. She has been a student of conscious manifestation for over 20 years. When she set out to find her soulmate she called upon and created some powerful processes that helped to bring her Divine love to fruition. 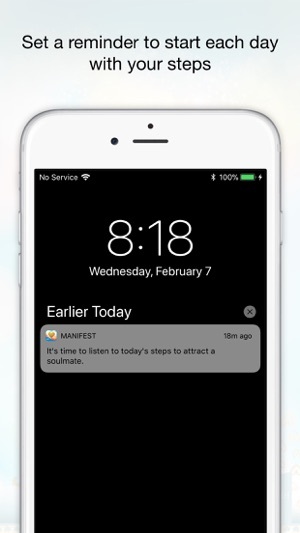 The self-love lessons contained in this app led her to meet her husband, with whom she experienced an instant soul connection. 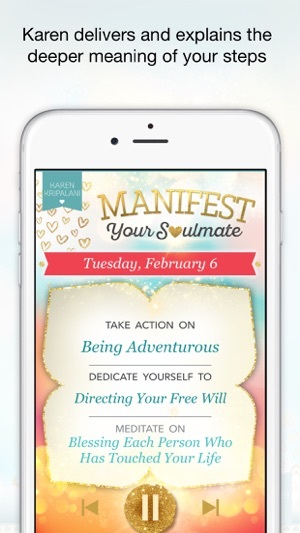 Enjoy the Manifest Your Soulmate app with or without a subscription! To access all features like the alarm and daily messages, sign up for a subscription and save! - Includes a free 1-week trial period with either subscription. I’ve also been using the language she models to other people it translates much better 😉. I’m seeing everyone around me raise their game and I love being a cheerleader to help them go further faster! This simple app has made an enormous impact on me, even after a week! 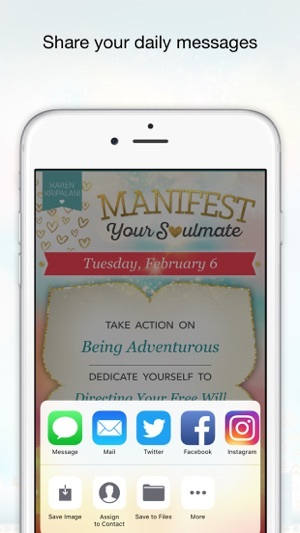 Karen has created a wonderful way to help people be their best selves. I find it very enriching at a personal level to consider the daily thoughts. Doing so puts me is an awesome state for my day - it’s great whether you already have your soulmate or not! Thank you! Thank you for your beautiful feedback. We are thrilled you are enjoying the app. As someone who has a hard time making connections, this app gives wonderful guidances on how to bring relationships into my life. I actually look forward to listening to the messages for the day as they really shift my energy.